Capital Institute's Field Guide to a Regenerative Economy reveals the science behind the revitalization of Tottenville and similarly-neglected communities of Americans who self-identify as voiceless and forgotten. STATEN ISLAND, N.Y., May 9, 2017 /3BL Media/ — Seventy percent of New York City voters threw their support behind Hilary Clinton in the 2016 presidential election, and yet 70 percent of Staten Islanders voted for President Donald Trump. 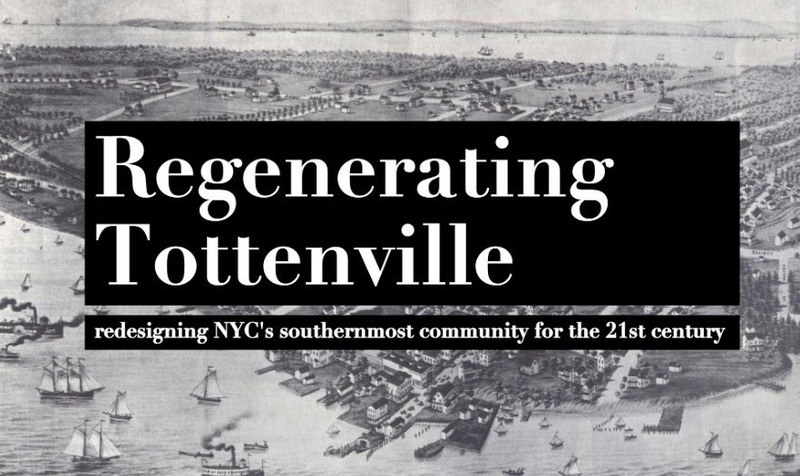 No community better represents this dichotomy between New York City’s inner and outer boroughs than Tottenville, a Staten Island hamlet once known as The Town the Oyster Built and now called—by some residents—Forgottenville. Through its Field Guide to a Regenerative Economy collaborative storytelling project, Capital Institute, the think-tank founded by former JPMorgan banker and Regenerative Capitalism architect John Fullerton, is launching Regenerating Tottenville, a project that—for the first time—reveals the science behind the revitalization of Tottenville and similarly-neglected enclaves of Americans who self-identify as voiceless and forgotten. Regenerating Tottenville takes you on a journey back to a once-bustling harbor town enlivened by ship-building, oystering, and tourism, whose energy is now languishing in a partially boarded-up Main Street. Yet, it also illuminates a path to a future that restores Tottenville to long-term economic vitality by reweaving its social fabric and revitalizing its ability to learn and act as a social and economic community. Regenerating Tottenville illuminates a path to achieving 21st-century vitality in Tottenville and across America. This roadmap is based on new, common-sense strategies for regenerating communities long damaged by extractive development, restoring the rich patterns of human interaction that constitute a vibrant community, and catalyzing the local collaborative networks that have always been the foundation of a healthy society. “I am excited to be returning to the south shore of Staten Island where I grew up to work with two modern-day Jane Jacobs—Tottenville’s intrepid Historical Society President Linda Cutler Hauck and regenerative-development thought-leader Dr. Sally Goerner—as we partner with local change agents on Regenerating Tottenville.” says Susan Arterian Chang, Director of the Field Guide. Regenerating Tottenville can be explored at RegenerateTottenville.org. The Field Guide to a Regenerative Economy is a Capital Institute initiative engaging individuals, enterprises, and organizations in collaborative storytelling projects that capture the emerging Regenerative Economy. Capital Institute, a non-partisan collaborative founded in 2010, focuses on the intersection of sustainability, economics, and finance through the design, advancement, and implementation of a Regenerative Economy.